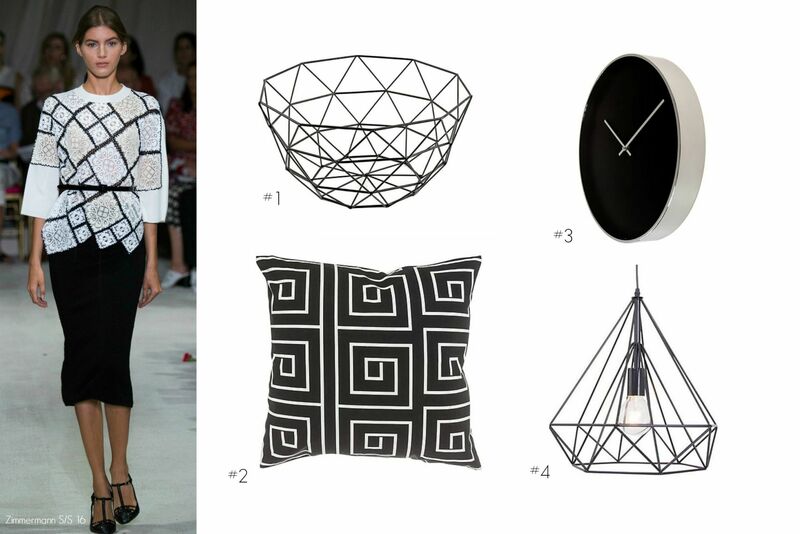 Take the keyword from the fashion world and give the timeless chic of black and white into your home. The monochrome look can range from minimalist chic to wild animal prints. 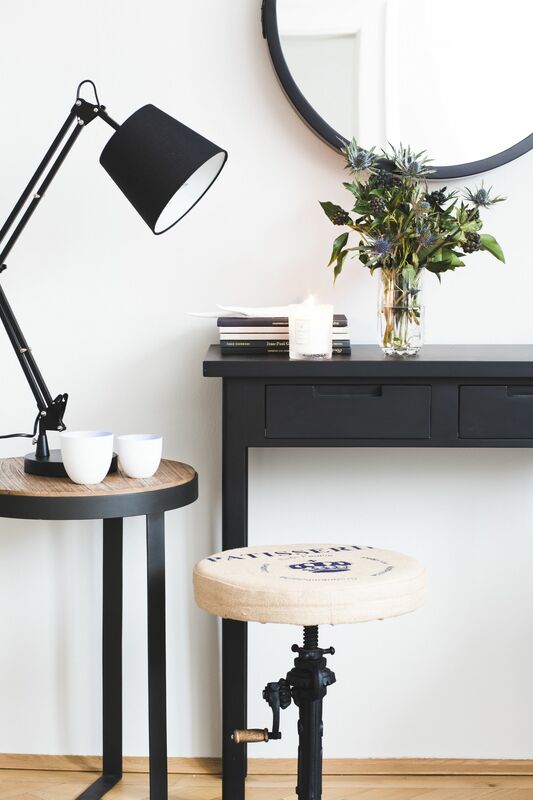 This is not the first time, I blog about minimal and monochrome interior decoration, and it won’t be the last. A black-and-white themed room always has more impact when you add a third accent color, whether this is grey, yellow, gold or aqua blue. 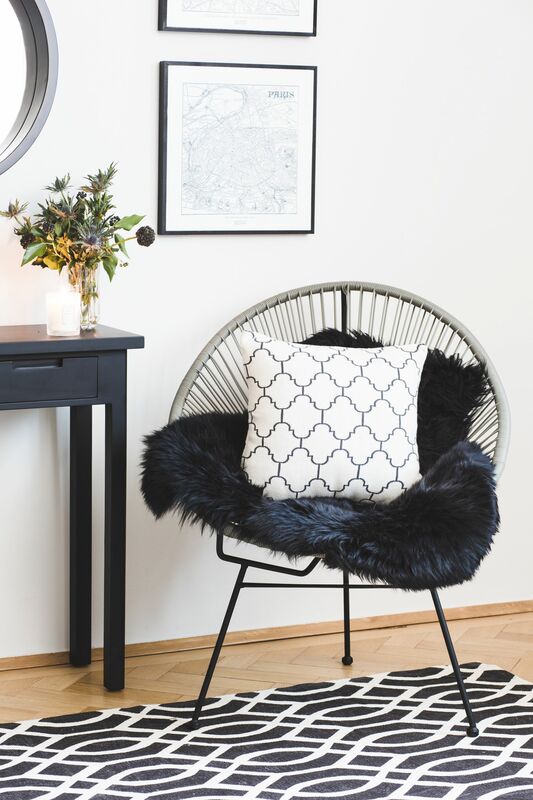 For example you can also add definition to an off-white scheme by using black as an accent color — incorporate a luxe black velvet sofa or grey armchair to your room design. Create a luxe minimalist boutuque hotel-style bedroom, livingroom or office space with bold grey striped walls. 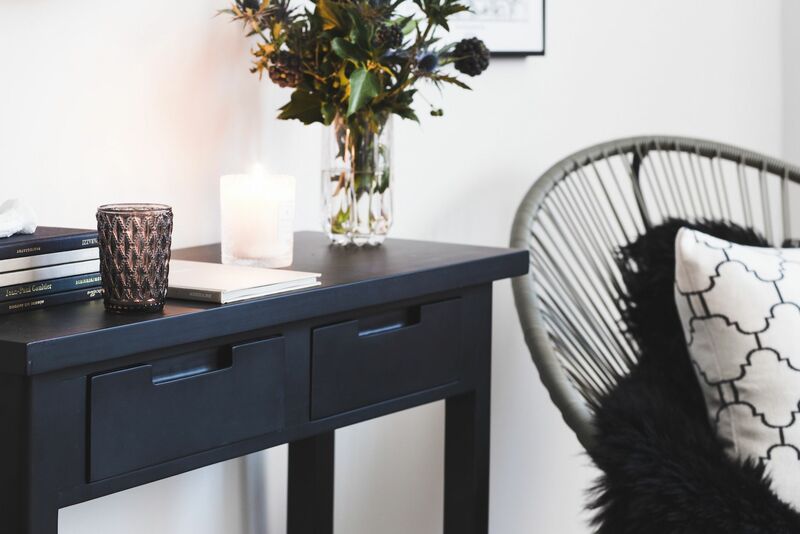 Add black or grey velvet furniture — team with black bedside tables or sideboard. Add accents of black and white pillows. 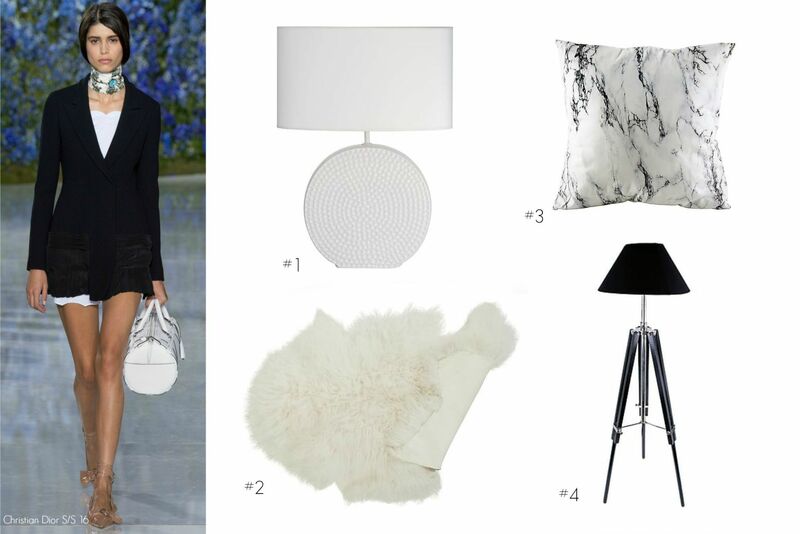 Incorporate a showstopping chandelier or ceiling white to complete the glamorous hotel theme. 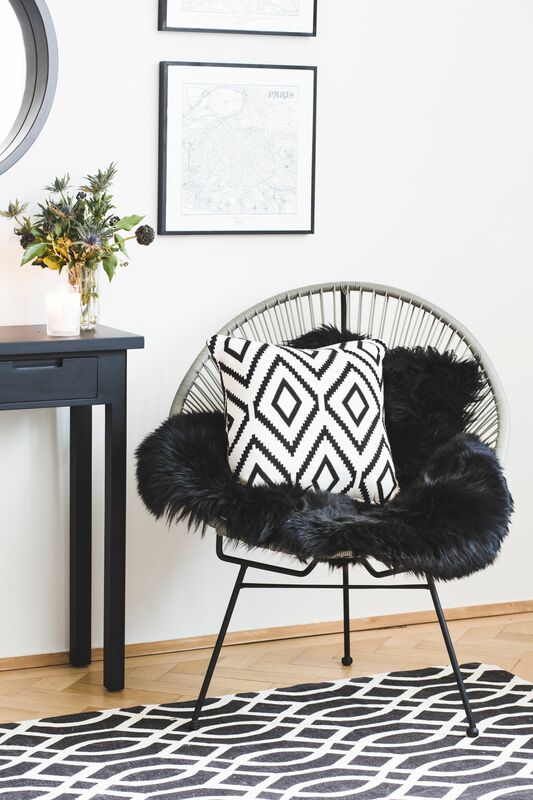 A mid-century vibe works perfectly with monochrome in the living room. 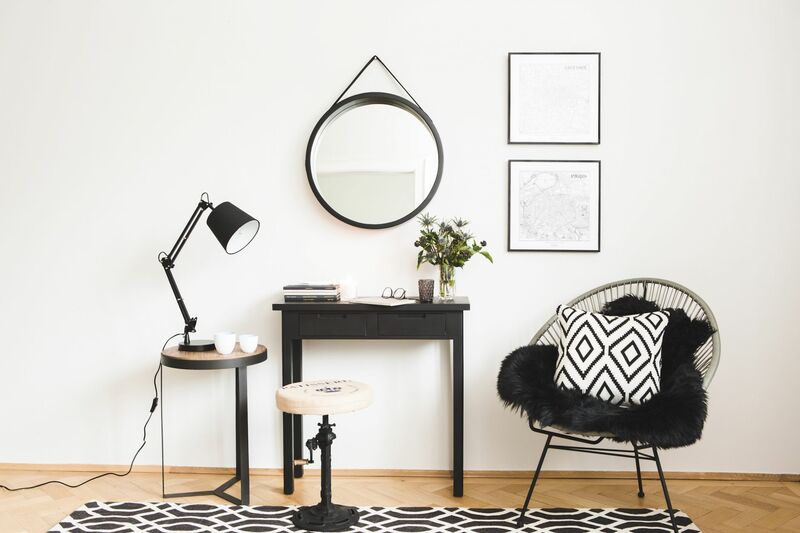 Add geometric wallpaper in black and white and complete the look with stark Sixties-style armchairs in white leather. 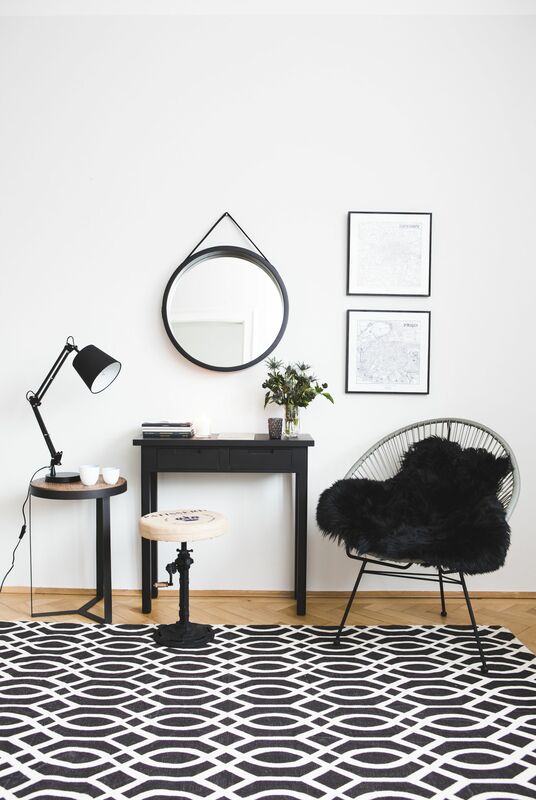 Complete the look with black wood flooring and a grey animal skin or textured rug.